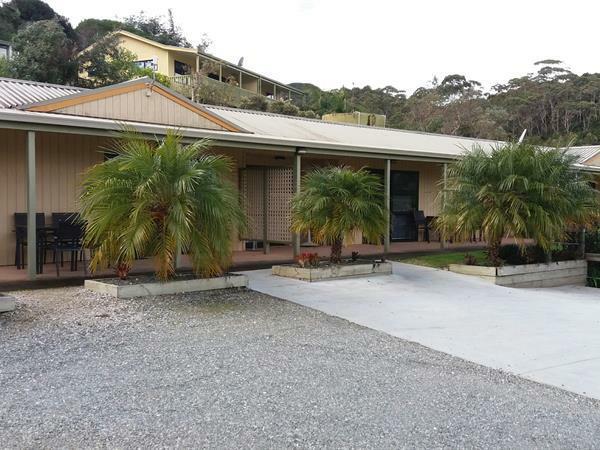 One Bedroom Park View Motel Twin has an open plan living/dining area with a kitchenette. This kitchen includes a pantry, fridge/freezer, microwave, hot plate, toaster, kettle and all the crockery, cutlery and pots and pans you will need. There is also complimentary tea and coffee. Your one bedroom motel houses Twin Beds in the bedroom and a single in the lounge. Unit also come with free view TV, a dining table and chairs, and a heater for colder nights. The Motels have a nice outdoor seating area with outdoor furniture – so you can relax in the fresh air and enjoy the lovely sea views.